Described in Chambers Global 2012 as a "real star," Michael Jacobs is one of the most well-known and respected trial lawyers in the United States. In 2012, he served as co-lead counsel in the year's two highest-profile intellectual property battles. Many of the world's leading companies call on Mr. Jacobs to lead trial teams in their most complex litigation. 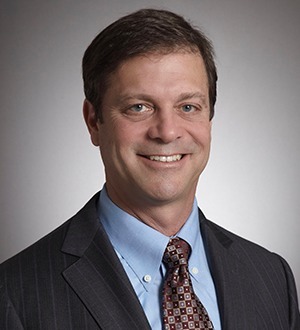 He has represented information technology and life sciences companies in more than 35 patent lawsuits, often prevailing at early stages of the dispute. Mr. Jacobs is the co-founder of the firm's Intellectual Property Practice Group, and currently heads its Life Sciences Practice Group. Mr. Jacobs' work in several landmark cases has helped to shape the laws governing emerging technologies. Early in his career, he led the technical team that represented Fujitsu in its landmark operating system software arbitration with IBM. He represented the motion picture industry in the On Command Video case, which established that on-demand video systems require a license under copyright's public performance right. Mr. Jacobs represented Novell in the widely reported SCO v. Novell Linux litigation, prevailing in a bench trial on Novell's multi-million dollar claims, defeating SCO's $200 million claim in a three-week jury trial, and defending those results on appeal in the 10th Circuit. He also represented Autodesk in the Vernor v. Autodesk case, which established that copyright's first sale doctrine does not immunize the re-sale of licensed software. In addition, he has represented leading life sciences companies in their cutting edge litigation, including Chiron in its HCV protease litigation, Abraxis in its nanoparticle anticancer treatment dispute with Elan Pharma, and QLT in its litigation with TAP Pharmaceutical involving the Eligard anticancer treatment. He has also handled numerous high-profile arbitrations, several of which involved the interplay between arbitration and court proceedings. Mr. Jacobs has also achieved victories in important pro bono cases. He was co-lead counsel for plaintiffs in the landmark Williams v. State of California class action, which led to a settlement in which the State undertook to address shocking conditions in California's lowest performing schools. He also represented the Jewish Community Relations Council and the Anti-Defamation League in a successful pre-election challenge to an anti-circumcision initiative slated for San Francisco's ballot. Mr. Jacobs has twice won the California Lawyer Attorneys of the Year (CLAY) award, first for his advocacy on behalf of Intel in the Intel v. Hamidi "trespass to chattels" case and in 2012 for his defense of Novell in SCO v. Novell. Mr. Jacobs also has twice been named "Litigator of the Week" by The American Lawyer, once for his victory in the Novell case and, in September 2012, for his victory in a billion dollar design and utility patent and trade dress trial in the Northern District of California. He is listed in Band 1 by Chambers in its California Intellectual Property category and in Chambers Global 2012 as a leading attorney for Intellectual Property. He has been recognized as a "Life Sciences Star" in the inaugural edition of LMG Life Sciences 2012. He was also named to The BTI Client Service All-Stars 2012 list by corporate counsel in recognition of his excellence in client service. Mr. Jacobs teaches trade secrets law at U.C. Berkeley Law School. eTool v. National Semiconductor (Eastern District of Texas). Defeated plaintiff’s claim of patent infringement involving National Semiconductor’s online circuit design tool on summary judgment. Case settled in 2012 after defeating plaintiff’s motion for reconsideration. Elan Pharma International Limited v. Abraxis Bioscience (Distrcit of Delaware). Represented Abraxis BioScience in defending its lead product, Abraxane, against claims by Elan Pharmaceutical of infringing Elan’s patents for coated nanoparticles used to deliver paclitaxel for the treatment of metastatic breast cancer. This was the first nanotechnology patent case taken to jury trial. The case settled in 2011. Vernor v. Autodesk (Western District of Washington; Ninth Circuit). Represented Autodesk in case regarding software licensing and the first-sale doctrine under copyright law. Brought in to defend Autodesk after motion to dismiss was denied. On appeal, the Ninth Circuit reversed the district court and held that the first sale doctrine does not apply to licensed software. Autodesk v. SolidWorks (Northern District of California). Represented Autodesk in trademark infringement action relating to protectibility of Autodesk’s “DWG” mark. Obtained consent judgment of trademark validity as part of settlement. Notal v. Carl Zeiss Meditec (AAA/ICDR). Won nearly $10M award for plaintiff in ophthalmologic medical equipment dispute. TAP v. QLT (Northern District of Illinois). Settled case in damages phase after liability was established under previous counsel in resorbable polymer patent infringement action brought against client QLT, a biopharmaceutical company. Discovery Communications, Inc. v. Amazon.com, Inc. (District of Delaware). Represented Discovery Communications in a patent infringement suit against Amazon.com alleging infringement by Amazon’s Kindle of Discovery’s patents for e-book reader technology. The case settled after a favorable claim construction ruling. Neuralstem v. Reneuron (Central District of California). Represented U.K.-based defendant in trade secret and material transfer agreement dispute involving stem cell technology. The case settled shortly before trial. Fantasy Sports Properties v. Yahoo! (Eastern District of Virginia; Federal Circuit). Prevailed on behalf of Yahoo! on Federal Circuit appeal after winning early motion for summary judgment of non-infringement in patent infringement suit involving computerized fantasy football games. Successfully represented and currently representing Yahoo! in many other patent infringement actions. Minebea Co. v. Think Outside (Southern District of California; Federal Circuit). Won affirmance in the Federal Circuit of summary judgment victory on behalf of Think Outside in a patent infringement action involving the “Stowaway” portable keyboard.